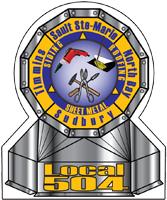 There are many ways in which you can join local 504. The first step would be to come in and fill out an application. At Local 504 we are always taking applications. However, the easiest way to become a member is through organizing. Organizing allows you the ability to stay with your current employer and have your current company become unionized. It is against the law for an employer to dismiss or threaten you because you wish to join a union. To find out more information on how to organize your workplace or become a member, contact one of our representatives at 705 674-8604. Are you an owner of a non-union company? We would like the opportunity to show you what local 504 offers our partner employers. Learn about the potential markets that will open up to your company as a union contractor and the advantage of having ready access to a highly skilled labour force.